Illinois Gov. 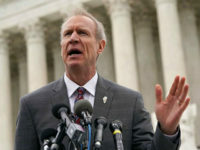 Bruce Rauner revealed Thursday that he had tried to recruit four other candidates to run for governor in his place, offering them money and political support rather than facing re-election himself. 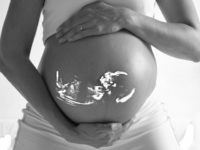 Illinois is an abortion “haven” with few restrictions on the procedure, says a recent report in the Chicago Tribune that cites thousands of women traveling into the state to end their pregnancies. Illinois Gov. 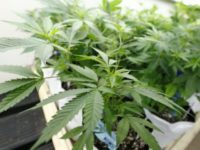 Bruce Rauner gave the green light on Wednesday for parents to administer medical marijuana to a child on school property. One out of four counties in Illinois is a gun sanctuary, which means they are refusing to enforce newly-passed gun controls. 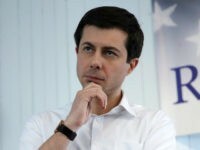 On Monday, Illinois Gov. 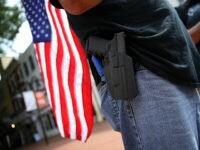 Bruce Rauner (R) proposed gun confiscation orders and a 72-hour wait period on firearm purchases. 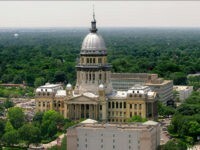 His proposals were made via proposals to legislation currently pending in the Illinois legislature. 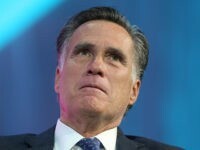 Americans may elect a Congress that is sharply split — even more so than it was under Barack Obama. Ironically, that would play to Donald Trump’s strength as a deal-maker. State Rep. Jeanne Ives (R-Wheaton) conceded the gubernatorial primary to incumbent Republican Governor Bruce Rauner just after 10:30 p.m. Central time– after coming tantalizingly close to an upset victory. 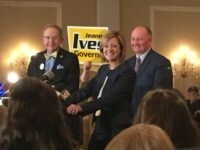 Jeanne Ives, on the home stretch of a hard-fought Republican primary, describes her gubernatorial campaign in Illinois as proof that conservatives can hold “lame, fake Republicans” like Gov. 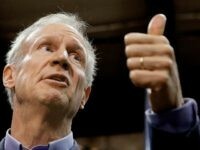 Bruce Rauner (R-IL) accountable. According to a recent poll, Republican gubernatorial candidate for Illinois Jeanne Ives is moving closer to incumbent Gov. 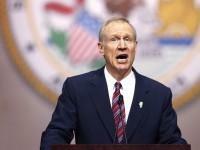 Bruce Rauner (R-IL) ahead of next Tuesday’s primary to determine the GOP’s nominee for the Prairie State’s governor. State Representative Jeanne Ives (R-Wheaton) is hoping to pull off an upset Tuesday against incumbent Republican governor Bruce Rauner, who is clinging to a narrow lead in the polls. Conservative insurgent State Representative Jeanne Ives (R-Wheaton) says she has nearly caught incumbent Gov. Bruce Rauner, just days before the Republican primary on Tuesday. Susan B. Anthony List, a national pro-life advocacy group, has endorsed gubernatorial challenger Jeanne Ives in the upcoming Illinois GOP primary race, citing sitting Republican Governor Bruce Rauner’s support of a law mandating taxpayer-funded abortion in the state. Conservative Illinois gubernatorial candidate Jeanne Ives has released a new TV ad aimed directly at the conservative voters whom she says sitting Governor Bruce Rauner has betrayed over the last four years. Jeanne Ives is challenging the go-along-to-get-along caucus, bringing life back to the race and hope back to a state that has been failed by the establishment of both parties and needs bold leadership. Personal PAC, a pro-choice organization in Illinois that fights restrictions on abortion, has released a video ad attacking conservative State Rep. Jeanne Ives (R-Wheaton) for her pro-life stance in the 2018 race for governor. 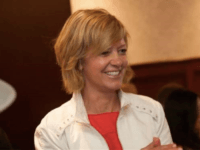 CHICAGO, Illinois — Conservative State Representative Jeanne Ives (R-Wheaton) defended her new advertisement in her campaign for governor against incumbent Republican Bruce Rauner on Monday a before a packed luncheon at the City Club of Chicago. 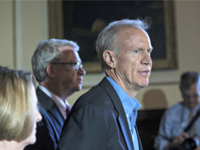 Incumbent Republican Governor Bruce Rauner is the second-most-unpopular governor in the U.S. who is actually running for re-election, according to the Morning Consult Governor Approval Rankings, released Thursday. Conservative Rep. Jeanne Ives (R-Wheaton), who is challenging Illinois’ incumbent Republican governor, Bruce Rauner, in the March 20 primary, criticized him Monday for breaking his promise to veto a bill to use state taxpayer funds for abortions. Illinois incumbent Gov. Bruce Rauner, until Monday, had determined to ignore the primary challenge he faces in state Rep. Jeanne Ives. But after Ives trounced Rauner in a de facto debate before the Chicago Tribune editorial board, many are saying Rauner better abandon his campaign strategy and begin engaging Ives before she sneaks up and knocks him out of office. 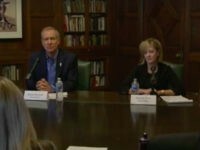 Illinois Republican State Representative Jeanne Ives and sitting Illinois GOP Governor Bruce Rauner met for the first time Monday as Rauner fights to win re-election but by many accounts the meeting ended in favor of the challenger. Chicago Tribune columnist John Kass sat in on his newspaper’s interview of the two candidates running for Illinois governor in the Republican primary — incumbent Gov. Bruce Rauner and conservative State Rep. Jeanne Ives (R-Wheaton) — and judged Ives the clear winner. Conservative State Representative Jeanne Ives (R-Wheaton) received a massive donation last week from Lake Forest businessman Richard Uihlein, who formerly backed incumbent Republican Governor Bruce Rauner. 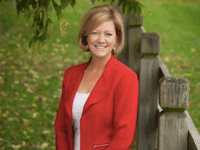 Illinois State Representative Jeanne Ives is a U.S. Army veteran who served her country overseas. Now, the third-term Republican has taken on her toughest challenge yet: running against incumbent Gov. Bruce Rauner in the Illinois primary March 20. Saturday marks the completion of Donald Trump’s first year as president. It has been a year of remarkable accomplishments. 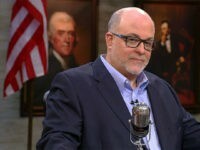 So why are Republicans in trouble? The Department of Justice sent out letters Wednesday demanding that 29 more suspected “sanctuary” jurisdictions demonstrate their policies do not prohibit cooperation with federal immigration enforcement. This week, Illinois Republican Governor Bruce Rauner celebrated his signing of a bill that turned Illinois into a sanctuary state. Now a group of Republican lawmakers filed a new bill to reverse that law. 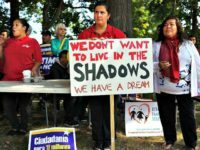 Illinois’ Republican Governor Bruce Rauner signed legislation shielding the nearly 500,000 illegal aliens from federal immigration law. 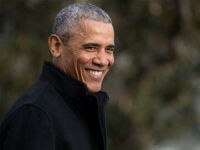 The Illinois legislature just created a new state commemorative holiday to celebrate the birthday of “favorite son” Barack Obama. 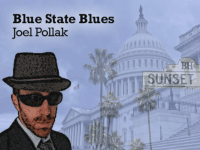 As the state of Illinois edges near becoming the first U.S. state to ever be rated junk bond status, the Democrat-controlled legislature of the bankrupt state of Illinois has just voted to slam its citizens with a hefty 32 percent hike in state income taxes.